RAW HOLLYWOOD : WALE RELEASES VIDEO FOR "PYT"
WALE RELEASES VIDEO FOR "PYT"
Wale not to long ago released his newest track titled "PYT" and it sent fans into a frenzy. He samples one of the greatest to ever do it, Micheal Jackson's "PYT" for this song and that was a great move on Wale's behalf. The song has been received pretty well by the masses so it was only right to drop the visuals to the compliment the song. You can find Wale dancing with a variety of Eye Candy surrounding him throughout the video. I really can appreciate how he switched up the ladies in the video to show beauty from all various races and ethnicities. Of course the rapper hits the moonwalk throughout the video (if you follow his social media, you will see that he has been doing it very often), along with a little Milly Rock routine with some of the honeys in the video. This "PYT" video was fun and it gives off a great summer vibe. You can check it out below and leave some comments below letting us know if your feeling the video or not. P.S. 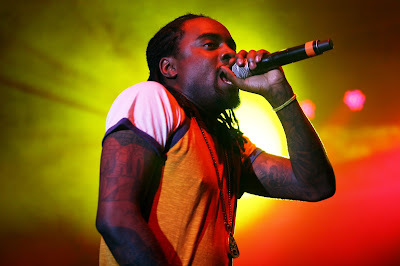 Congrats to Wale on the birth of his baby girl Zyla! !